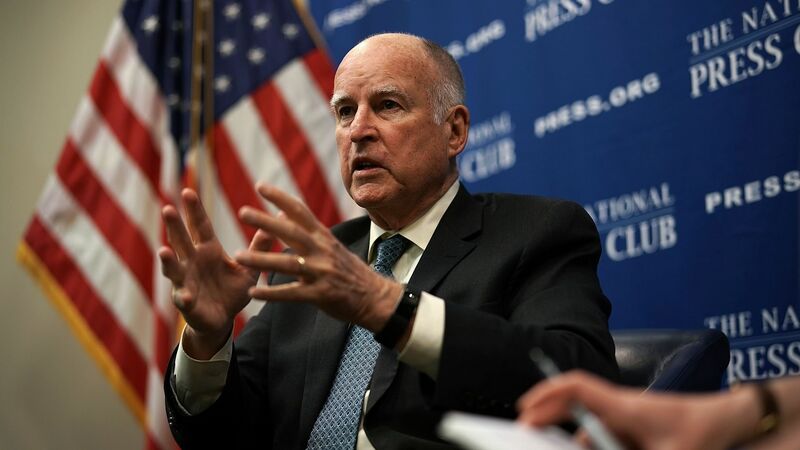 California Governor Jerry Brown signed a handful of bills Friday that will impose additional restrictions on the state's gun laws beginning January 1, reports Reuters. The big picture: California already has some of the strictest gun control laws in the country. The new restrictions will raise the minimum age for buying rifles and shotguns from 18 to 21, ban possession for people who have been convicted of domestic abuse or been hospitalized for mental illness more than once in a year, and allow family members and police to confiscate firearms from individuals they believe are a threat to commit violence.